Home » 20 Years Later: Why Do I Need a DVR? We’ve come a long way since 1999, when the world saw the first TiVo® DVR that enabled us to pause live TV. So what exactly does a Digital Video Recorder do for us in 2019? A TiVo DVR commercial from 2000. Enter the new world of the reimagined Digital Video Recorder. Today’s TiVo DVRs act as a personal hub that gives us one place to help manage all of our content and helps discover new content – regardless of channel or app – so we can watch smarter, get some time back in our day, discover newer content faster, and have total control over what we consume – all through one familiar interface. Simply put, a DVR gives you more time, control, and ability to discover better content quickly. Here’s how. A DVR Gives You More, Faster. DVRs enable you to fast forward through commercials (or with TiVo you can just use SkipMode® or click “Skip” for many popular shows), where many subscription services still make you watch some ads. Not only can you FF, you can also get through the boring parts faster. Using TiVo DVR’s QuickMode,® you can watch your content 30% faster using your remote, without losing sound quality. And you won’t miss a beat. This is especially useful with awards shows and sports. QuickMode on TiVo DVRs allows you to pick up the speed without losing sound quality. You can set up or view recordings from anywhere – online or with iOS and android. This also resolves the problem of having to remember what shows you wanted to look up when you get home. Set and forget with a TiVo – it’ll be waiting for you when you’re ready. With features like TiVo WishList® you can even search and set your DVR to record any movie or tv show that features your favorite actor, or is about your favorite topic. TiVo Suggestions will “learn” your preferences over time, make suggestions specialized for you, and even record shows it “thinks” you’ll like, for you. DVRs can be smart home enabled, and they can even act as your Digital Music Player. 2019’s DVRs Make It Easy. Some popular DVRs, like the TiVo VOXTM series of DVRs, have voice control. A DVR home screen can act as a single hub that can seamlessly display content across live TV and apps like Hulu and Amazon Prime, all at once. 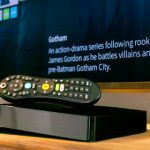 You can set up your TiVo DVR to record an episode, a full season, a genre, or any show with your favorite actor across any and all popular networks and apps. With a TiVo DVR you can browse and search content seamlessly across live TV and apps like Hulu and Amazon Prime, all at once. You can pay an all-in price for a DVR, or you can choose to pay less and simply get a monthly service fee as low as around $10. Why do you need to pay service fees for a DVR? Service fees mean great features keep getting added and maintained, like the ones we’ve talked about in this post; QuickMode, Skip and cross-platform search capabilities, smart home features, voice commands, and more. So as your hardware gets older, your software does not. And service often includes protection plans. Many cable companies will allow you to rent a DVR for an additional fee, or you can buy your own units designed to work with set-top cable boxes. Some people purchase one or multiple devices to help reduce their monthly bill of a DVR lease from their cable provider. In a world where we are used to paying monthly for tech like cell phones, many people opt for the low monthly service fee. Going to be a few minutes too late to catch your favorite show? Many apps allow you to buy shows, once they are done airing. But with a DVR you have the additional option of recording the show the minute it goes live, and then using functions like commercial skip and fast-forward to catch up to real time. So if get home late you can catch up, join the chat about your show on social media, and not have to avoid those spoilers. The picture quality that your TiVo DVR can record and cleanly put in your library of shows will look just as good as the rest of your HD content. Recording content and keeping it organized in your way across all platforms will appear seamless. The TiVo BOLT VOXTM is compatible with the highest resolution available, and is capable of displaying 4K Ultra HD. DVRs Are a One-Stop Shop. TiVo is a single hub (and one remote) for all your content. 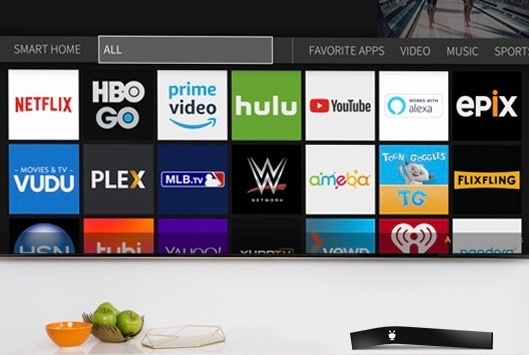 TiVo can act as your “smart device” and integrate your Hulu, HBO, Amazon Prime, and other popular apps, as well as live and recorded over-the-air or cable tv, and you can search through all of it at once. Today’s DVRs can offer you a seamless experience between apps and networks. You can set your kid content controls across all apps and content sources – at once. 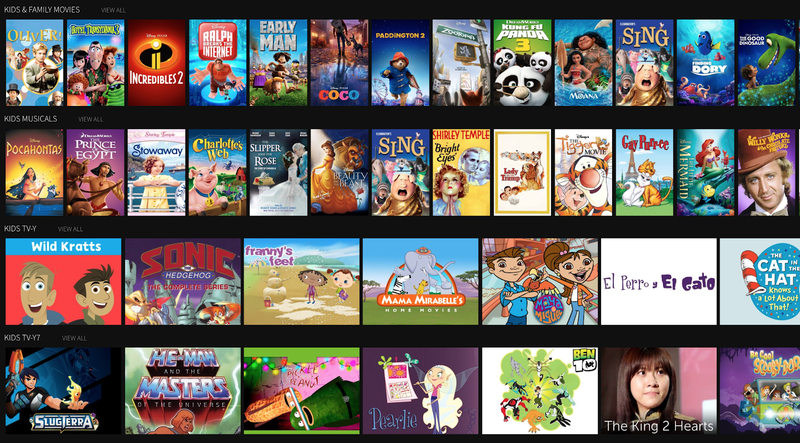 Your DVR opens up a world of kid-friendly content for the little ones – all in one place. With a TiVo DVR in 2019, you can watch smarter, get your time back, and have total control over your and your family’s content. And after 20 years, it still feels good to be able to pause live TV.